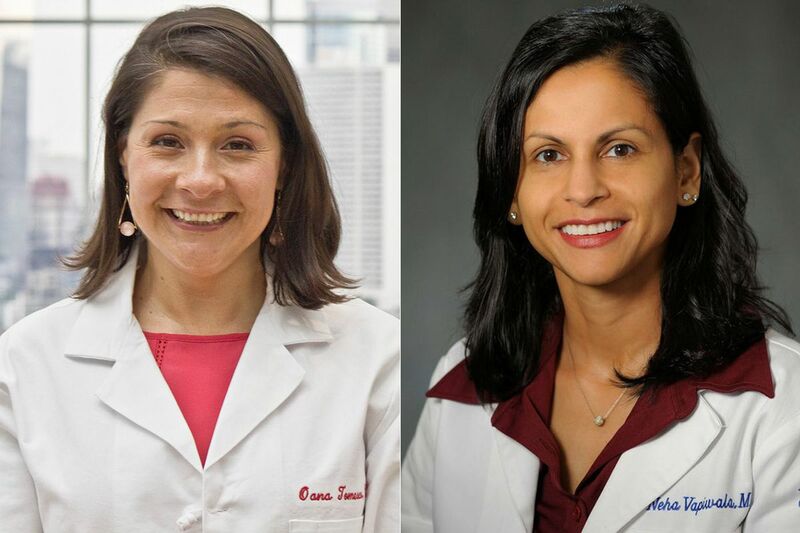 Oana Tomescu and Neha Vapiwala, of Penn Medicine, share their wisdom for new doctors. As physicians and teachers, we know the uncertainty that new trainees such as first-year resident Jason Han face. Not only because we once were new doctors, but because we are still learning every day. We are all on the same long and arduous climb that every physician must scale. Residents are starting at the bottom of a very tall, very hierarchical, and relatively prescribed ladder that must be climbed — while holding our patients' lives in our hands. The chasm between responsibility and skill set seems massive. There can seem to be no room for regrets, doubts or discussion amid the potentially crushing workload and learning curve that is clinical medicine. They all have smiles on their faces or, at least, a focused intensity as they perform the required duties, seeming to know everything already. Our minds convince us that we are the only ones who feel this lingering uncertainty. Each transition amplifies this doubt, and generation after generation of medical professionals have lived in isolated silence – smiling on the outside and doubting on the inside. To provide high-quality, safe care for patients and excellent mentoring for trainees, we need to take off our own masks of perfection and recognize that we need to spend time on our mental, emotional and physical health. The only way to end this pattern of siloed suffering is to speak, out loud and together, about the natural vulnerability that we all face as we transition to new roles. There are two critical strategies that medical schools and residency programs need to employ. The first is to break the silence surrounding the fear and self-doubt that are a natural part of lifelong learning. Senior students, residents, and leadership need to open the conversation to normalize and de-stigmatize this process. The second is to provide support and guide trainees to develop healthy coping strategies to deal with uncertainty and self-doubt, highlighting that these emotions stem from a place of caring. In the internal medicine residency program in Penn's Perelman School of Medicine, we are breaking down the cultural norm in several ways. Senior residents have formed the resident wellness initiative (RWI) and plan activities that begin and maintain this conversation. With each question, the group steps closer and closer together until the senior residents make the final points: that we are all in this together, that we are all a family — and that we will help one another get through it. Furthermore, program leaders try to be transparent about our own struggles with self-doubt, fear and burnout. We want interns to realize, from day one, that inherent to the commitment we make for our patients are the commitments we make to one another and to our own well-being. Finally, we have integrated wellness workshops into the academic curriculum. Led by two faculty members with experience in resilience training, these workshops focus on skills that interns and residents can learn and incorporate, such as mindfulness practices, cognitive-behavioral strategies, emotion processing techniques, dealing with death and dying. While these programs are gradually helping to shift the culture, the fact remains that young physicians can suddenly find themselves with other people's lives in their hands, and anxiety and self-doubt may ensue. Each of us has a responsibility to our profession to extend a hand down the ladder and guide younger learners as they navigate their upward climb. Instead of pretending that these feelings don't exist, may we each be authentic and transparent about having normal human emotions. It's the best way we know to teach younger doctors to cope when they struggle and come out stronger and more resilient during each phase of their career. Neha Vapiwala, MD, is an associate professor and vice chair of education in the department of radiation oncology and assistant dean of student affairs in the Perelman School of Medicine at the University of Pennsylvania. Oana Tomescu, MD, PhD, is director of the Perelman School of Medicine Personal Resilience Curriculum and an associate program director for internal medicine and pediatrics residency.